Grow your own Fresh Rosemary, from windowsill to the dinner plate is just an arm's length away, with many health-promoting properties. Rosemary is often associated with good food and great times. 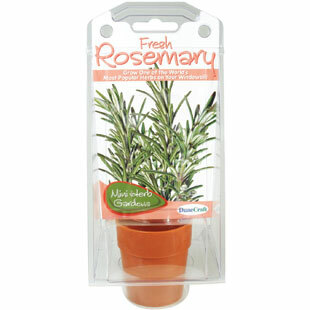 Rosemary has been shown to increase the blood flow to the head and brain, improving concentration.